Pot Was Flying Off the Shelves in Uruguay. Then U.S. Banks Weighed In. The pharmacies selling pot were doing a brisk business. 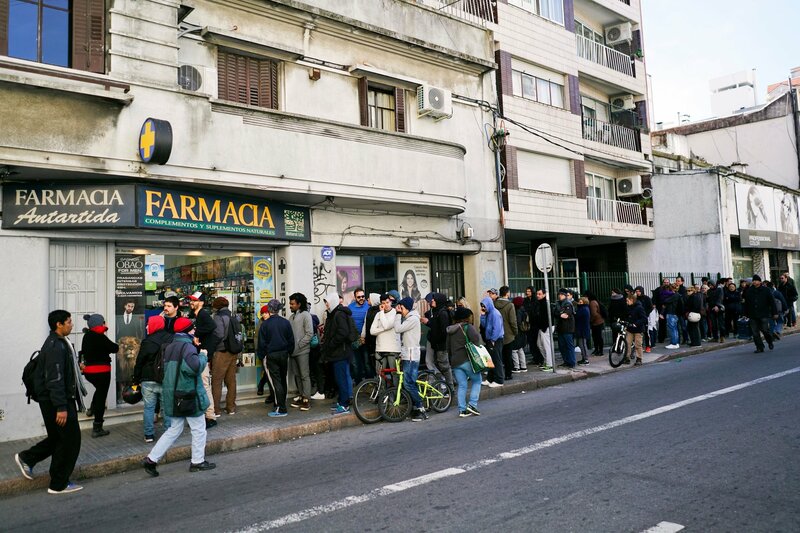 After Uruguay became the first country in the world to fully legalize marijuana sales for recreational use last month, some of the pharmacies struggled to keep up with the demand. Then came the stern letters from American banks. The letters immediately sent officials in Uruguay scrambling to make sense of the Patriot Act and other American laws that could doom an essential part of their country’s new marijuana market. 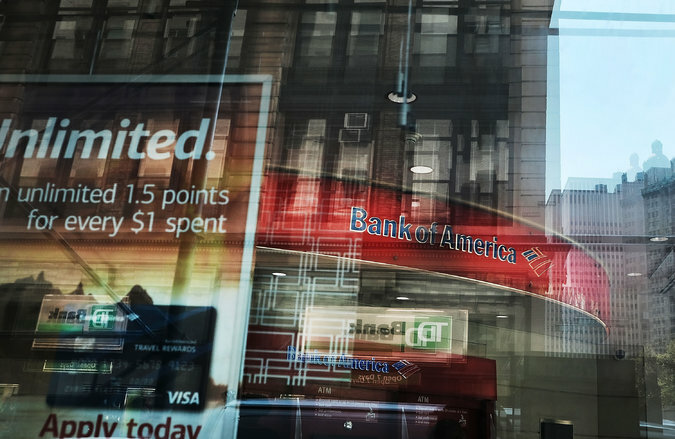 American banks, including Bank of America, said that they would stop doing business with banks in Uruguay that provide services for those state-controlled sales. Afraid of losing access to the American banking system, Uruguayan banks warned some of the pharmacies over the last couple of weeks that their accounts would be shut down, potentially signaling a broader international impasse as other countries, including Canada, set out to legalize marijuana. “We can’t hold out false hope,” President Tabaré Vázquez of Uruguay told reporters this week, adding that his administration was trying to come up with a solution. The snag mirrors challenges that such businesses have faced in American states that have legalized medical and recreational cannabis. Under the Patriot Act, which was passed weeks after the attacks of Sept. 11, 2001, it is unlawful for American financial institutions to do business with dealers of certain controlled substances, including marijuana. The provisions were designed to curb money laundering and drug trafficking. The Obama administration indicated in 2014 that banks were unlikely to face penalties for offering services to marijuana businesses in states where the trade is legal, as long they screened accounts for signs of money laundering and ensured that customers followed state guidelines. This enabled some of the businesses to get accounts at credit unions, but major banks have largely stayed away from the expanding industry, concluding that the burdens and risks of doing business with marijuana sellers were not worth the hassle. Several pot businesses in states like Colorado and Washington — the first to legalize recreational marijuana — have opted to remain cash-only businesses. Others have found small banks willing to take a calculated risk. But finding a workaround in Uruguay may be hard. Sales of marijuana represent a small share of business for pharmacies, which are currently the only merchants licensed to sell it, and the pharmacies say they need banking services to operate. Similarly, bankers in Uruguay will probably find it much more important to remain in good standing with American financial institutions than to preserve the accounts of a small number of pharmacies. The threat of losing their bank accounts has led some of the roughly 15 pharmacies that initially signed up to participate in the new market to give up on marijuana sales, said Pablo Durán, a legal expert at the Center of Pharmacies in Uruguay, a trade group. Twenty other pharmacies that were expected to join the market are holding off while the government explores solutions, he said. The American regulations are counterproductive, supporters of the legal market in Uruguay contend, because they may inadvertently encourage, not prevent, illicit drug sales. Fighting drug trafficking was one of the main reasons the Uruguayan government gave for legalizing recreational marijuana. Officials spent years developing a complex regulatory framework that permits people to grow a limited supply of cannabis themselves or buy it at pharmacies for less than the black market rate. Lawmakers hoped that legal structure would undercut illicit marijuana cultivation and sales. “There probably isn’t a trade in Uruguay today that is more controlled than cannabis sale,” Mr. Durán said. As a candidate, President Trump said that American states should be free to chart their own courses on marijuana, and he promised to pare back regulation in the financial sector. Attorney General Jeff Sessions, however, has been a sharp critic of legalization and has compared marijuana to heroin. Now, some members of the cannabis industry wonder whether the United States government will resolve the conflict between its banking laws and the expanding patchwork of measures to legalize recreational and medical marijuana use around the world. The guidance from the Obama administration, issued by the Justice and Treasury Departments in a pair of memos in 2014, addressed the matter domestically but not for international banking. “Uruguay may be the tip of the iceberg,” said Mr. Robison, the Colorado lawyer who specializes in marijuana regulation. 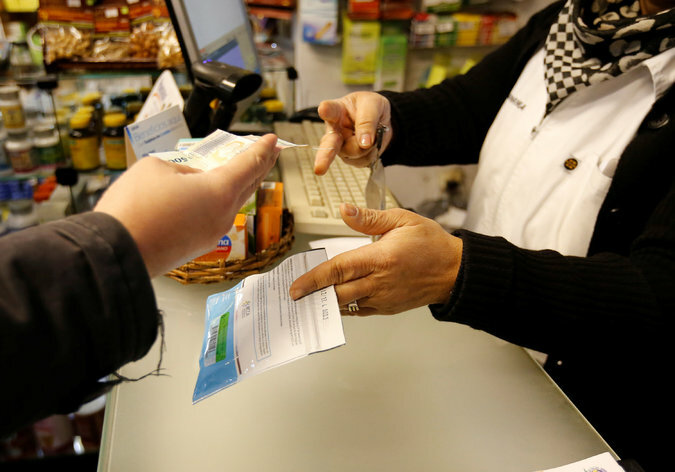 Pharmacists in Uruguay were incredulous to learn that their bank accounts could be shut down, considering the years of study and planning that preceded the start of retail marijuana sales last month. The country’s marijuana law was passed in 2013. “We can’t understand how the government didn’t have the foresight to anticipate this,” said Gabriel Bachini, a pharmacy owner in the coastal city of Colonia. Since sales began, the number of registered buyers in Uruguay has more than doubled. As of Aug. 15, more than 12,500 people had enrolled in a system that verifies customers’ identities with fingerprint scanners and allows them to buy up to 40 grams per month (at a price of about $13 for 10 grams, enough for about 15 joints, advocates say). Under the law, only Uruguayan citizens and legal permanent residents are allowed to buy or grow marijuana. “Demand has been very strong,” Mr. Bachini said. “People are thrilled that they no longer have to go to private homes or venture out into neighborhoods” to get marijuana. In emailed statements, the Treasury and Justice Departments said that their earlier guidance was still being applied. But banking and legal experts say the Trump administration has yet to lay down clear markers on this area of policy. Officials in Uruguay are hopeful that American lawmakers will pass legislation allowing banks to do business with marijuana sellers in states and countries where it is regulated. Representative Ed Perlmutter, Democrat of Colorado, introduced a bill in April that would do that, but marijuana advocates say they do not expect a prompt legislative change. Mr. Bachini, the pharmacist, said he had not yet heard from his bank. But if it threatens to shut down his account, he said, he will not think twice about giving up marijuana sales. An earlier version of this article misidentified the state that Ed Perlmutter represents in the House. It is Colorado, not Oregon. People are generally completely uninformed about pain medications. Doctors are almost as completely uninformed. Pain medication is a blessing for the TEMPORARY relief of pain, or for people who are dying and suffering. All drugs were legal in America for almost 150 years, until the Harrison Narcotic Act of 1913. There was not even an age limit! Heroin, morphine, opium, cocaine, amphetamine, hashish, and marijuana were inexpensive, over the counter drugs. Only about 3% of Americans had a dependence problem. There was simply no reason whatsoever to pass this act. All drugs should be legal for adults. Period. That’s right- all drugs for all adults. Anyone who commits a crime while under the influence of any drug (including alcohol) should get doubled penalties. People with drug problems are medical patients, not criminals. This would put an end to drug cartels, most organized crime, most gangs, and empty the prisons over-night. Police would be free to arrest real criminals. It would also take all the profit, false allure, and fake glamour out of illegal forbidden drugs. Drug dependence is Boring with a capital B. If you have a headache, or other minor pains, try an ice pack. If that doesn’t help, try a heating pad. One or the other should help you very much. Only real world experience will tell you whether hot or cold helps relieve your pain. Aspirin is not toxic, if you take one or two , and only occasionally. It is simply the acetyl derivative of salicylic acid from willow bark. If you have regular headaches, or other pains, your body is telling you there is a problem you need to address. Americans swill down too many tons of aspirin to count every year. Countless millions of clueless Americans also swill down acetominophen like candy. This drug is so toxic, so poisonous, and so so dangerous, it should be outlawed. Warning labels are not enough here. Acetominophen (aka paracetamol) will turn your liver into pudding. This is sold as Tylenol® and Anacin®. Another dangerous toxin is ibuprofen. This is sold as Advil® and Motrin®. This is also toxic with many side effects. This should also be outlawed due to it’s toxicity. If you have stronger pain, there are only a few good prescription options, and all are natural opiates or opiate derivatives. Codeine 60 mg is not strong, but is effective for mild pain. It has a “ceiling”, so if you take, say, 200 mg it will not be any more effective. The most you can take is about 60 mg AM, and 60 mg PM. Codeine is sold over the counter in many countries with no problems at all. The fact it is a prescription drug is ridiculous. It was sold over the counter in America in the 1960s with no problem. Never buy codeine with aspirin, acetaminophen, ibuprofen, or any other filler. Codeine cough syrup is very effective and safe. Hydrocodone 10 mg is six times stronger than codeine, and much more euphoric. In November 2013 you can finally buy Zohydro® without acetaminophen. Do NOT use Vicodin®, which is full of toxic acetaminophen. Hydrocodone is the most commonly prescribed prescription drug of all, by far in America, but people are ruining their health with the acetaminophen in Vicodin®. Only use Zohydro®. Oxycodeine 10 mg is also six times stronger than codeine, and just as euphoric as hydro-codeine. You get eurphoria plus energy. This combination makes it potentially addictive for weak minded people. This is the best pain killer known, and most people actually prefer it to morphine. For some reason, this is only sold in a very few countries. This is the best overall pain medication known to man. Believe it or not, this was invented in 1914, and only recently has become so popular. For almost 100 years it just sat on the shelf. Oxycontin® is high dose oxycodeine, up to 160 mg (!) for terminal patients. Per-coset® is full of toxic acetaminophen for no valid scientific reason. Morphine 30 mg was considered the gold standard for pain relief, but most people prefer oxycodeine, due to the enhanced euphoria and feeling of energy. Morphine is basically only given to people with serious chronic pain, and the terminally ill. Morphine does not work for some people as they lack the enzyme necessary to metabolize it. Morphine is good for people who do not want the extra energy and euphoria, just pain relief. Using it intrarectally is 50% more effective. This does not work with any other pain medicine ex-cept morphine and it’s derivatives. Hydromorphine 4 mg is known as Dilaudid®, and more than seven times stronger than morphine. It was invented in 1924. This is also only prescribed for very serious cases. There is really no basic difference between morphine and hydromorphine except dosage. 50% more effective when used intrarectally. What about heroin (diacetyl morphine) 5 mg itself? This is a fine pain killer, and no more addictive than morphine. This is used in Europe but not in the U.S. It makes no sense at all to outlaw heroin as a pain medication. The only problem is that it cannot be taken orally, and that does make it impractical. Never inject any drug unless you are in the emergency room of a hospital. Oral opiates are far preferred. Heroin has been demonized for no reason at all. The fact it must be injected makes it very impractical however. Oxymorphine aka oxymorphone 5 mg (Opana®) is similar to hydromorphine, but for some reason is rarely used in the U.S. This has also been available for almost 100 years. This is a shame, as it is very strong and very effective. This just proves the ignorance of medical doctors to ignore a safe and effective drug like this. This is very underutilized. 50% more effective when used intrarectally. Opium tincture is known as Paregoric®, but it very diluted and weak. Opium powder is not used in America for pain, and concentrated opium (Pantopon®) is almost never used. There are too many harmful alkaloids in unconcentrated opium to use safely. You do not want to take these alkaloids. Paregoric is sold over the counter in some countries. It was legal in America until the 1960s. What about the synthetic non-opiate drugs like Tramadol®, Demerol®, fentanyl, methadone, ketamine, and propoxyphene? Don’t use these, since you have more effective, less toxic opiates to use. Tramadol® is weak and toxic. Demerol® is very effective, but more toxic than real opiates. Fentanyl is best used as an anesthetic for surgery. Patches are available. The Russians use it as a military aerosol to incapacitate crowds. (The problem is many people die when it is used that way.) Methadone is illegal in the U.S. and very toxic. Ketamine is a deleriant anesthetic drug with psychedelic properties. The ketamine patches do not cause disorientation. Propoxyphene (Darvon®) is toxic and simply should not be used. This leaves codeine, hydrocodeine, and oxycodeine for most people. Serious pain can require morphine or hydromorphine, since oxymorphine is rarely used. This is a short but effective list. Do not let the doctor, in his ignorance, dictate your pain management. Demand real opiates with no fillers. For pet lovers, the same is true for our beloved companions. Codeine is weak and rather ineffective. This leaves hydrocodeine, oxycodeine, morphine, and dilaudid as the only real choices. Veterinarians are stupid beyond belief, and will give your beloved pet inef-fective Tramadol® and other such drugs. Demand proper pain medication if your pet needs it, and find a new vet if he won’t do it. Some pets cannot metabolize morphine. The drugs laws have turned America, and most of the whole world, into police states. America has 5% of the world population, but 25% of the world prison inmates!!! One third of American prisoners are locked up for drugs. The drug laws make pharmacists, doctors, and pharmaceutical companies rich. Opiates would literally cost no more than candy bars if legalized. Again, pain medication is for the TEMPORARY relief of suf-fering, unless you have an incurable chronic condition, or are terminal. You need to be educated about pain relief because your doctor certainly isn’t.